I today challenged the Government to support women born in the 1950s who have been affected by changes to their state pension age without fair notice, following a debate in Parliament. In a letter to Work and Pensions Minister Guy Opperman MP, I called for fair transitional state pension arrangements for women who were not given sufficient notice of changes to their state pension age, citing the example of a Sheffield woman who had lost thousands of pounds after the Government changed the rules in 2011, just three years after she had taken early retirement to support her elderly mother. The Pensions Act 1995 legislated for women’s state pension age to rise from 60 to 65 between April 2010 and April 2020. In 2011 the Coalition Government accelerated part of the timetable, starting in April 2016 when women’s SPA was 63 so that it will reach 65 in November 2018. The equalised SPA will then rise to 66 by October 2020. Many women were not given sufficient notice of these changes and did not have enough time to make alternative financial arrangements. In a packed Westminster Hall debate on the state pension age for women, MPs of all parties shared the experiences of women who had been adversely affected by the changes. 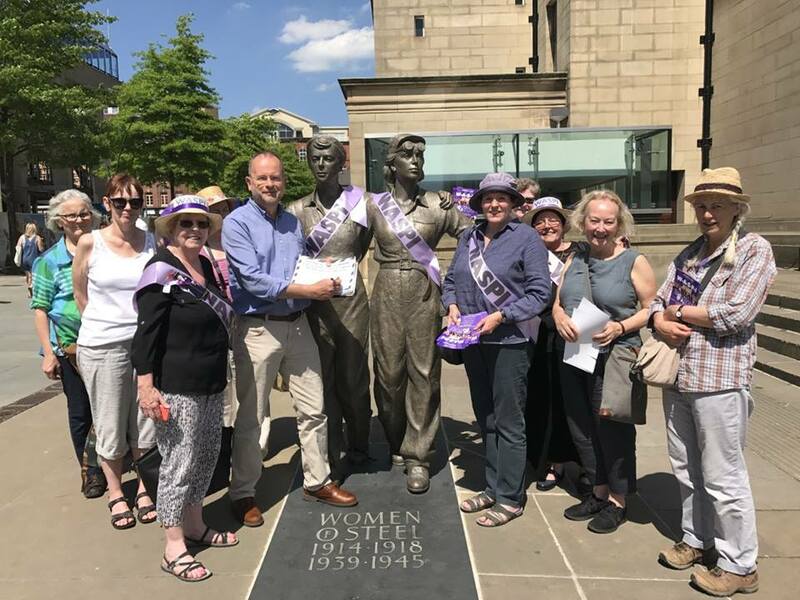 Following the debate, I wrote to the Minister to press the demands of Sheffield WASPI (Women Against State Pension Inequality) campaigners I recently met, urging the Government to take action to support them. Almost 3.5 million women have lost pension income that they were expecting through changes to their state pension age. Nobody disagrees with equalising the state pension age, but these women were not given the notice to plan for the changes. Many have lost tens of thousands of pounds. The Government must listen to the WASPI women and put in place transitional arrangements and compensation. You can read a transcript of the debate here or watch it here.